Ellen Urbani describes her work on "Landfall." Novels are still a rarity on The Exchange, but we could not turn down Ellen Urbani. 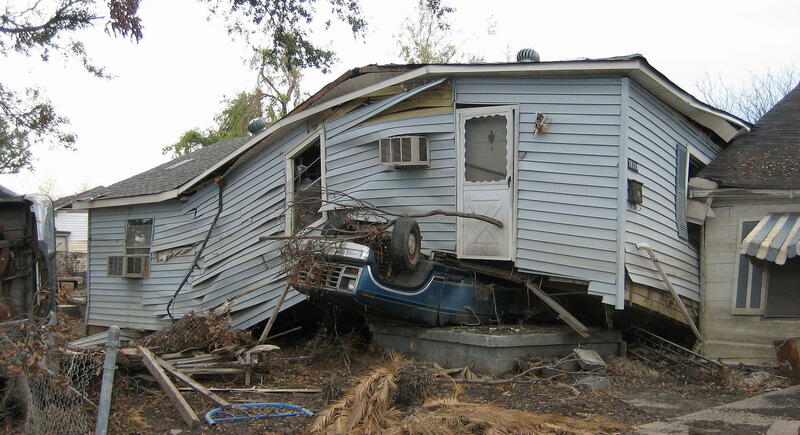 House and truck, Lower Ninth Ward, New Orleans. Her latest work of fiction, Landfall, is based on events in the real world, including Hurricane Katrina. Urbani's work as a therapist adds a dimension of trauma and recovery to the work. Urbani speaks at the Eugene Public Library on Saturday June 4th; she visits by phone in advance. Althea Rizzo and Cory Grogan talk about plans and preps. Out of the 50 states, only 12 have Enhanced State Mitigation Plans making them potentially eligible for additional federal funding in a disaster. Oregon and California are two of the dozen. So what kinds of natural hazards and disasters are covered in the plan? Ten years after floodwaters from Hurricane Katrina breached the levees, inundating and devastating the city, many residents feel the city is making significant headway, according to a new poll by NPR and the Kaiser Family Foundation, which nonetheless reveals deep racial disparities in the recovery. 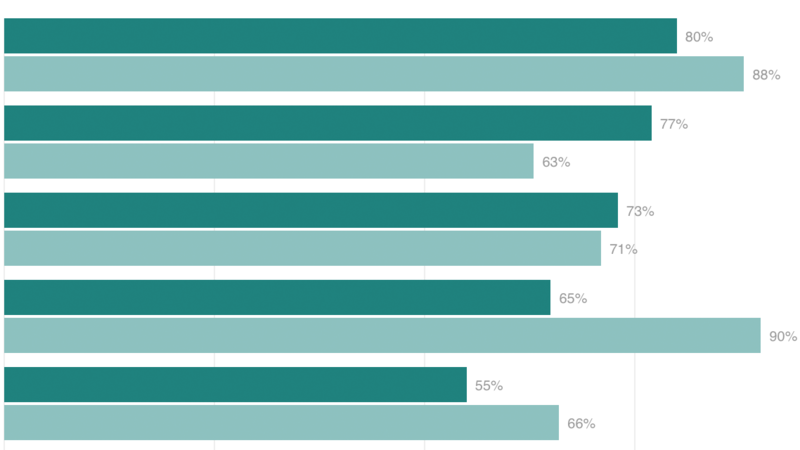 NPR's David Greene speaks with Liz Hamel, director of public opinion and survey research at the Kaiser Family Foundation about the survey findings.